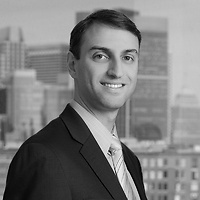 Matthew J. Connolly, an associate in Nutter’s Litigation Department, has been selected for the Boston Bar Association’s 2016-2017 Public Interest Leadership Program (PILP). PILP promotes civic engagement and public service by advancing the leadership role of lawyers in service to their community, their profession and the Commonwealth. PILP was launched in 2003 to help new lawyers understand the meaning of community leadership and develop lasting connections beyond their existing legal networks. This highly selective and competitive program draws applicants from an exceptionally talented and diverse group of young professionals committed to serving the public interest. Participants connect with prominent community leaders at meetings and events, learn about the challenges confronting local organizations and take part in efforts to address specific community needs. After completing the program, graduates enter a growing network of accomplished alumni who provide mentoring and support to their successors.